Persistent Pain What is it, Why do you get it and how can we help? As mentioned in previous blog posts we believe that to deliver the highest possible standard of care we need to commit to regular Continuous Professional Development or CPD. This month Lynsay presented on the topic of persistent pain. Pain is a vital function of the nervous system, providing your brain with warning of perceived potential danger or threats. Understandably if you have a sore back or a painful knee you may not necessarily agree with this statement! However the benefits of being able to perceive pain can be seen by looking at people who suffer from conditions which result in an inability to feel pain, collectively known as Congenital Insensitivity to Pain or CIP. Patients who have CIP typically experience multiple repeated injuries such as burns and lacerations, as they are unable to detect tissue damage. Sadly as could be expected they generally have a significantly shortened life expectancy. In the past persistent pain was referred to as chronic pain, however currently the term persistent pain is preferred. The reason for this being that there is a common perception that chronic pain is “bad or severe pain”. When in fact it simply refers to pain that is lasting for longer than we would expect it to. Therefore due to the unhelpful connotations around the term chronic pain, the general consensus is to use the term persistent pain instead. Usually pain is regarded as being persistent when it lasts for more than 3-6 months. What is the impact of persistent pain? Persistent pain is a disabling condition. Pain affects almost every aspect of a patient’s life leading to physical and emotional problems. It affects the individual’s ability to work both at home and in the workplace and it affects the individual’s ability to participate in normal everyday life activities such as socialising, hobbies and exercise. In addition there are significant economic consequences to patients with persistent pain due to the potential decrease in income and any additional costs including healthcare costs associated with having the problem. Persistent pain is common affecting around 20% of the population and accounts for 15-20% of all GP visits in the UK. The most common cause of persistent pain is a musculoskeletal problem, although cancer, neuropathies and neurological problems are also causes of persistent pain. Under normal circumstances people assume that they will suffer an acute episode of pain such as a sprained ankle or low back pain and then as tissue healing progresses; they would understandably expect the pain that they feel to gradually settle in terms of severity, area affected, frequency and duration. As this natural recovery progresses, they gradually increase their level of function and the degree to which they use and load the painful area. However for a variety of factors possibly including lifestyle, genetic and/or other factors including general health; sometimes this does not occur and instead persistent pain develops. This then results in changes in levels of chemicals such as cortisol in the body and indeed structural changes within the brain. How can we reduce the risk of developing persistent pain? In the short to medium term i.e. the acute phase, medication is useful to manage pain so that the patient is able to optimally engage in their rehabilitation. There is evidence that people whose pain is poorly controlled in the short term, are more likely to develop persistent pain. Therefore we would strongly suggest that if you are struggling with low back pain, neck pain or any other musculoskeletal pain that is affecting your ability to work, function in everyday life or play sport; that you get advice to manage your pain as effectively as possible. People are all different and their problems are too. Therefore it may take several visits to your GP or pharmacist, before the optimal drug or combination of drugs and doses is established. Whilst this process can be frustrating we would stress that is essential that your pain relief is as optimal as possible. In addition to early effective pain management getting the correct advice early is important in order to reduce the risk of a poor recovery and therefore potentially persistent pain. One of the key roles of physiotherapy is to ensure that patients are given clear advice outlining a graded progressive rehabilitation programme which optimises joint range of movement, soft tissue range of movement, strength, power and overall function. What can you do if you have persistent pain? If you have persistent pain it is important to realise that there are approaches that can help. 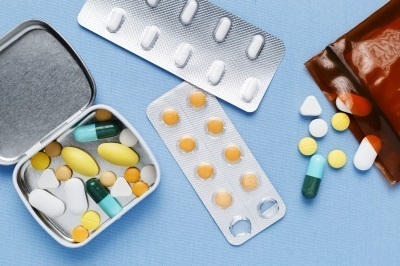 Medication can be helpful, both using drugs that would typically be used for acute pain, but also drugs such as amitriptyline or gabapentin which are commonly used with people with persistent pain. The advice given above regarding the importance of going back to your medical practitioner if the medication initially is not successful is even more relevant here. It is also well worth bearing in mind the statement from the National Institute of Clinical Excellence or NICE regarding the use of medication in the management of persistent pain “It is unusual for any analgesic to completely eliminate pain so the focus of treatment should be on reducing pain with a view to improving the patients quality of life”. From a physiotherapy point of view there is strong evidence in the form of a Cochrane Review published in April 2017 that physical activity and exercise is helpful in reducing the levels of pain severity that are reported and in improving levels of physical function. The review considered 21 reviews which included 381 studies in total. It is also important to stress that here is no real evidence that passive treatment modalities such as manual therapy, acupuncture or massage have any lasting effect. The physiotherapists at our clinic in Eskbank, just outside of Edinburgh are all HCPC and CSP registered with wide ranging clinical experience; including working in a pain management clinic, an acute low back pain service, professional football, paediatrics, in patient orthopaedics and musculoskeletal outpatients. We have treated and continue to treat everyone from children with sore knees to adults with shoulder pain. Therefore whatever the nature of your problem we can help or at the least expedite your referral onwards to someone who can. We are open Monday to Thursday 8 am to 8 pm and Friday 8 am to 6 pm. We also have a clinic in Roslin, which runs two days a week depending on demand. If you would like to book an appointment in either our Eskbank or Roslin clinics or to discuss how we can help then please contact us. This entry was posted in Conditions we treat. Bookmark the permalink. ← Children and strength training- What if any are the risks, How and Why should they do it?